Breslin, J.E.B., 2012. 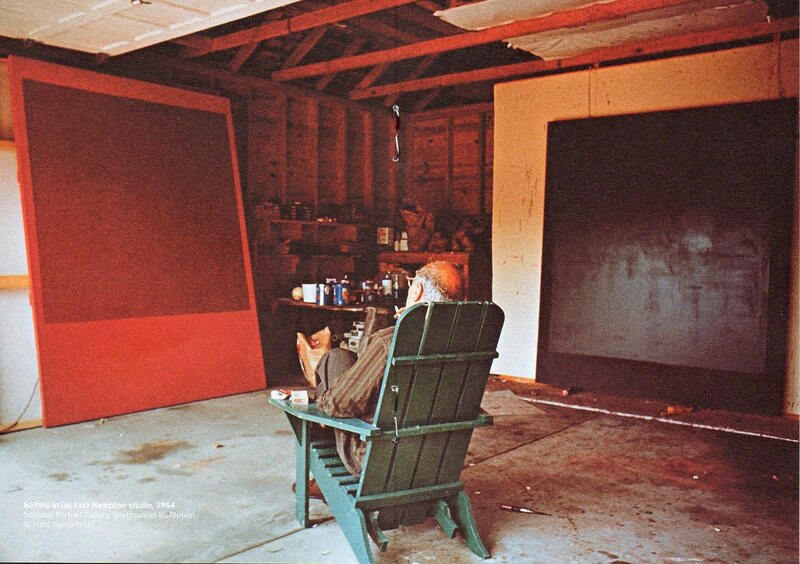 Mark Rothko: A Biography. University of Chicago Press. "In 1965, influenced by the idea that his pictures would be in the same building as Turner, Rothko suggested making a gift to the Tate Gallery. The works would be from the Four Seasons series and would be chosen by the artist to form a coherent group, to be shown in a space on their own. The gift was finalised in 1969 and the paintings arrived in 1970 [the other works are Tate Gallery T01163-T01170]. On the day of their arrival, as the huge crates were being unpacked to reveal their contents, a cable was received from New York announcing that Rothko had been found dead in his studio." "The Rothko Chapel is an independent institution, a sacred place open to all people, every day. In 2011 the Chapel celebrated its fortieth anniversary, having achieved, in those years, recognition as one of the greatest artistic achievements of the second half of the twentieth century. In 2001 the Chapel was listed in the National Register of Historic Places, an honor awarded before the institution was fifty years old. The Chapel regularly makes top ten lists of places to visit, and is a featured entry in National Geographic's book Sacred Places of a Lifetime: 500 of the World's Most Peaceful and Powerful Destinations, published in 2009. The Chapel has two vocations: contemplation and action. It is a place alive with religious ceremonies of all faiths, and where the experience and understanding of all traditions are encouraged and made available. Action takes the form of supporting human rights, and thus the Chapel has become a rallying place for all people concerned with peace, freedom, and social justice throughout the world." Rothko: The Romanticswere Prompted, 1947.
can both be found in Chipp, H.B., 1992. Theories of Modern Art: A Source Book by Artists and Critics, Reprint edition. ed. University of California Press, Berkeley; London.